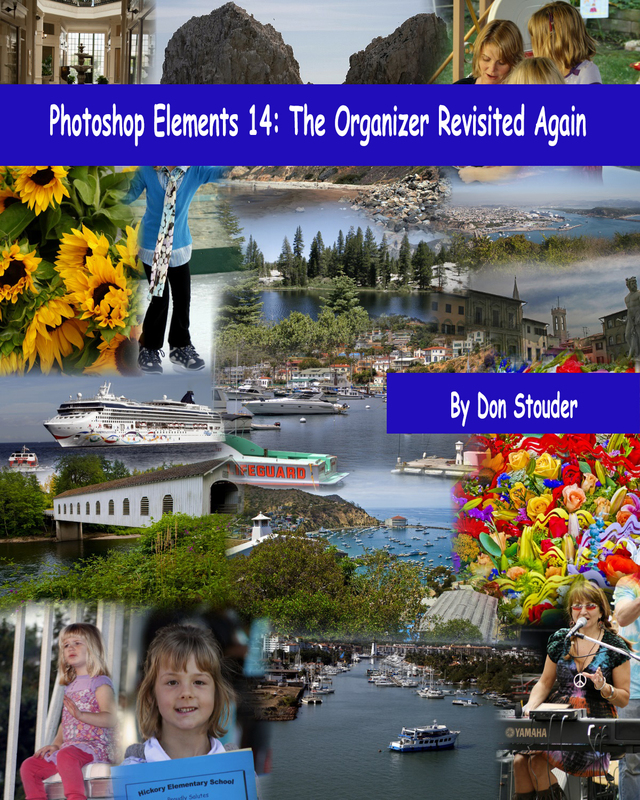 My new eBook, Photoshop Elements 14: The Organizer Revisited Again is now available. This eBook focuses almost exclusively on the Organizer in Photoshop Elements 14 and how to use it effectively. There simply is no other book available today that covers the Organizer in Photoshop Elements 14 so thoroughly. You can get the eBook for only $9.99 from Amazon by clicking on this Kindle Store link. With the Kindle app on your mobile device, you can read the ebook on Apple, Android, and Windows mobile devices. Look for the link to get the applicable app for your mobile device on the left. Don, I have a NOOK and can’t read KINDLE ebooks on it. Is there any other format such as .pdf I can buy?. I teach Elements and would love to read this. I do not do business w/Amazon, but would like to read your book on PSE 14 Organizer, is there a way I can buy from you or another seller? Burn to a disc, would be happy to pay for book & postage? Keith, unfortunately the contract I have with Amazon does not allow me to distribute my eBooks by other means. By the way, I do not mean to imply that all eBooks that are offered by Amazon have this requirement. It is just the agreement I chose to accept. However, check my blog. Several of the topics covered thoroughly in my eBooks, are also dealt with in my blog posts. Some are videos. All of my blog content is free. I have searched for a book just like this, but I do not have a Kindle. I much prefer having it in a book that I can hold. Is there any way to buy a written version or pdf?